It’s the time of year when our energies transform from Winter’s slow, nurturing darkness to Spring’s activating, expanding light. WE OFTEN THINK ABOUT USING THIS ENERGY FOR TAKING ON NEW TASKS AND PERHAPS DOING A SPRING CLEANING OF OUR HOMES, BUT WHY NOT THINK ABOUT RIDDING OUR INTERNAL SPACES OF LINGERING CLUTTER? • Notice. Take a moment to notice your surroundings. Are there buds on the trees yet? Are the birds chirping again? • Keep it simple. Starting a new project or practice doesn’t need to take up a lot of time. Start a simple meditation practice by sitting for a couple minutes a day, or start with the basics by attending a class once a week. Consistency is key for starting a new routine! There would likely be more lasting change if you established a mindfulness practice of five minutes a day and maintained it for three months than if you meditated for eight hours in one day. • Evoke a sense of place, landscape, people. Make a ritual to evoke a sense of quiet and intention. I always like to light a candle to set my intentions for the present moment (whether it be for 15 minutes or an hour). • Find the light. Light the candle, sit outside in the sunlight, find your inner light. • Try a new angle. Something not working out? Try it again from a new perspective. Take on the practice with a new attitude or a new position. • Tell the story. Thoughts are transformative. What kind of narrative are you telling yourself about yourself? Positive thoughts actually change your brain chemistry and improve immune functions and mental focus. Mindfulness let’s us listen to our narrative and become aware of our thoughts, patterns, and stories. • Relax. A relaxed body is a grounded and centered body. Try to relax your body first in the moment, your mind will follow. So, go ahead, open the windows to your home and heart, breathe in the fresh warm air, and do some mindful spring cleaning! 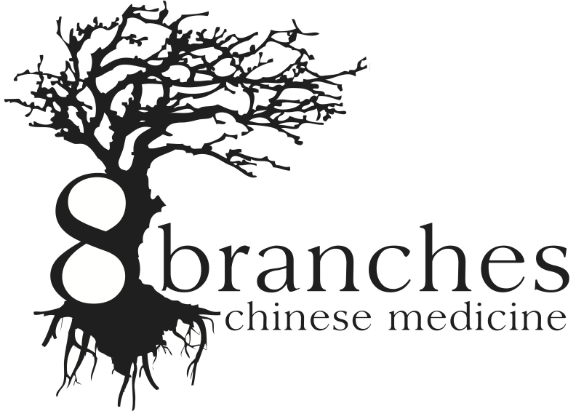 Adriana Kowal is currently a student of Traditional Chinese Medicine. She has become increasingly inspired by a holistic approach to the art of medicine and loves participating in, and keeping an ancient tradition alive. She believes that the connection between the mind and body interaction is a powerful one that needs nurturing and attention. In addition to Chinese Medicine, she enjoys other healing modalities like meditation, and exploring the I Ching (The Book of Changes). She holds two Master’s degrees in philosophy from Gonzaga University and Marquette University where she focused her studies on the mind-body interaction from a phenomenological perspective of the lived-body. She is also certified in methods of contemplative pedagogues. When Adriana is not studying or working, she enjoys process painting, meditating, exploring local life, and making a home in Milwaukee with her partner, Andrew, and their dog, Virgil.